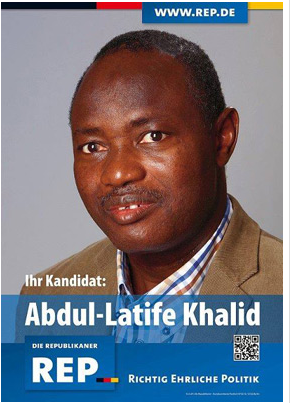 An African in a Nazi party! I can think of explanations for most things in life. For example, why the sun rises in the East and sets in the West. But I honestly have no explanation for why a black guy would be a member of a Nazi party let alone vie for an elective post with it. Note: Nazis believe that Germany is for Germans. They barely tolerate other Europeans so one can safely assume that they have abundant love for Africans and other races. "How did the guy get the ticket to vie?" Apparently he is a good friend of the party chairman or something of the sort. What I still don't understand is how the hell both sides came to the conclusion that that was a good idea. May be you are right Martin...it is a crazy world.